This post is sponsored by Stage. However, all thoughts and opinions are 100% my own. Everyone is busy during the hustle and bustle of the holiday. Between gift giving, holiday parties… ain’t nobody got time to check on their makeup every 20 minutes. Right?! 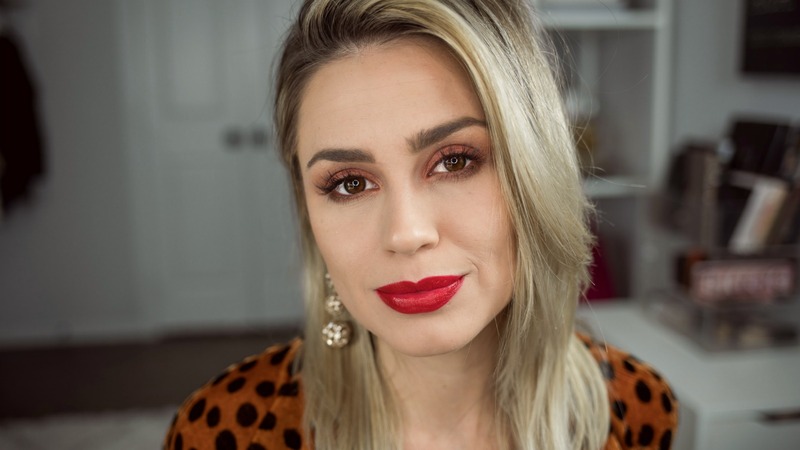 I am teaming up with Stage today for their #SetYourHolidayStage Virtual Holiday Party this season and to share my tips and tricks on how to make your makeup to last all day! Stage has some of the best holiday sets like the ones I am using in this tutorial from Smashbox. They make great stocking stuffers to, and you can find so many gift sets for under $50! I get asked a lot on how to make your makeup last, and today I wanted to share some of my tips on how I make my makeup last all. Day. Long.! Find a primer for your skin type. If you have dry skin, find a moisturizing primer. If you have oily skin, find a mattifying primer. After you apply your foundation and concealer, set both with a loose setting powder. Use your concealer or an eyeshadow primer to help with your eyeshadow creasing. It will also help with your colors blending more easily! To prevent your lip color from bleeding and lasting longer, try applying your FULL lip with a lip liner of the same color as your lipstick. Lastly, use a setting spray to set your makeup! Do you have any tips or trick you use to make your makeup last all day? Share them below! P.S. Make sure to take this holiday quiz Stage has over on their blog, guess what my holiday party persona is… it’s “party mom”. LOL!